The most important thing to bear in mind during the cold days ahead is the comfort of your home. Now may be a good time to stock up on heating fuel and service your HVAC equipment. If you do run out of heating fuel, here are some steps you can take to restore your home comfort. Call your heating fuel delivery company: This is the first step to take if you want your heating fuel supply replenished as quickly as possible. 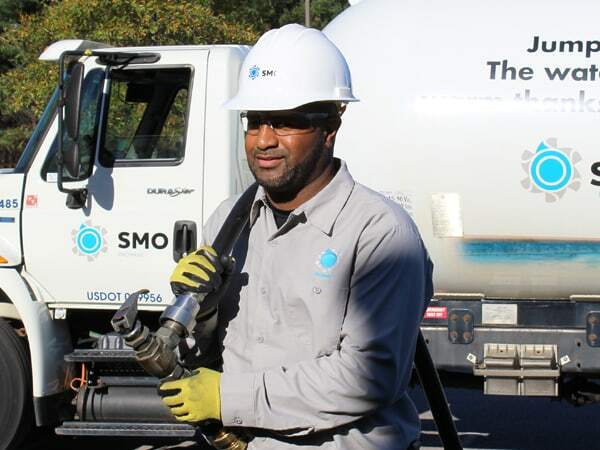 At SMO Energy, we offer same day and next day heating fuel delivery service for your convenience. Today, we are currently one of the largest family-run businesses in the state of Maryland. We have a large delivery fleet that can meet your heating fuel needs and have over 90 years of industry experience to provide you with the best service possible. Tip: Now may be the best time to consider switching to an automatic delivery service. An automatic delivery service will take away the responsibility of having to monitor your heating oil or propane tank yourself. It will give the contracted heating fuel company the sole responsibility of monitoring your tank on your behalf. This will ensure that you never run out of heating fuel. Be careful with space heaters: With the cold temperatures in Maryland, many homeowners are supplementing cold rooms with a space heater. However, according to The National Fire Protection Association, space heaters account for more than forty percent of winter home fires. Here are some tips to make sure you stay safe while using a space heater. Give space heaters plenty of space. Keep all furniture, drapes, blankets, and bedding at least 3 feet from the heater. Make sure the space heater has an emergency shut-off. Turn off space heaters when the room is unoccupied. Make sure the space heater is kept away from pets and small children. 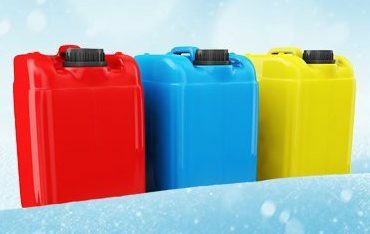 Keep back up fuel on hand: If you run out of heating oil or are afraid that you will run out before receiving your next delivery, you can add 5-10 gallons of Kerosene of Off-Road Diesel to your tank, which can be purchased at a number of gas stations or hardware stores. Tip: Special fuel canisters are needed to make this purchase. Use BLUE gas cans for Kerosene and YELLOW cans for Off-Road Diesel. Stations can refuse business if the proper canisters are not used. These color-coded canisters are safety precautions for the fire department and emergency response teams in the event of an emergency. Make Sure Your Driveway and Fill Are Clear: If you are expecting a fuel delivery this weekend, ensure that your driveway and the path to your fill is clear for drivers to make your delivery. Please make sure there is no snow or ice in your driveway, and that your fill is cleared and visible. 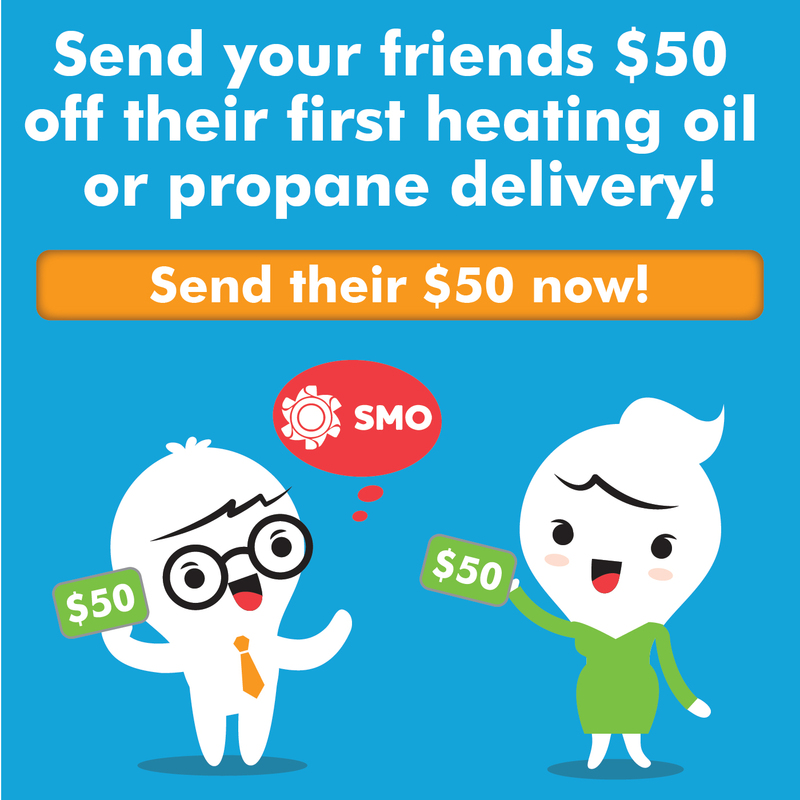 Tip: If you are an SMO Energy client and don’t think your driveway will be clear in time for your delivery. You can call us to let us know and we will adjust the time of your delivery accordingly. Check Your Gauge: If you’re not on automatic delivery or has not checked the gauge on your tank recently, please check it and make sure you have enough fuel to stay warm through the weekend. Tip: If your gauge is broken or you do not have one, you can always stick your tank and measure the inches of fuel oil to estimate how many gallons are in your tank. Going on automatic delivery keeps you from worrying about checking your gauge. Our drivers, technicians, and client care representatives are working hard to make sure we can serve you to the best of our ability. Our drivers will continue making deliveries as long as driving conditions permit. If the road conditions become unsafe, our drivers will need to stop deliveries and will resume as soon as the road conditions improve. We will do everything we can to make sure everyone stays warm. Click To Schedule A Delivery or Learn About Our Automatic Delivery Service.